Edgefield County’s Clemson Extension office offers many services and programs. Most people associate the Office with soil samples for gardens and pastures. But did you know that the Office also has information in the form of pamphlets, brochures and books on a variety of subjects? Most of the information is free, but we also have helpful and informative books for sale. 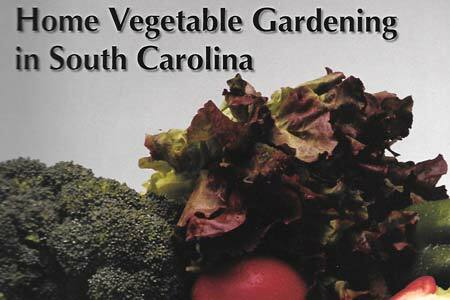 During the month of July we are highlighting: Home Vegetable Gardening in South Carolina. The cost: $15. 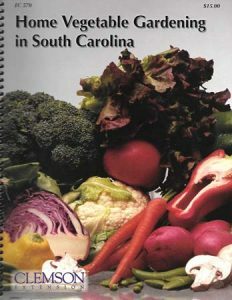 Home Vegetable Gardening in South Carolina covers everything from planning your garden, planting, insects and diseases. If you purchase this book during the month of July, we will throw in 1 (one) free soil sample, a $6.00 value. Two other books that are new to the Office are: Weeds of Southern Turfgrassess, $14 and Snakes of Georgia and South Carolina $6. The Edgefield County Clemson Extension Office is located at 304 Gray Street in the County Building. Office coverage is from 9 – 1 daily, 637-3161. Please come by and see what’s new in the Office.